E-Commerce Agency B2X Partners launches a new report titled “eXpert review: Mid-Market B2B E-Commerce Software,” which assesses the leading e-commerce software solutions, with an eye to helping mid-market B2B businesses find their next e-commerce software solution. With B2B businesses looking to expand their digital capacities, but often facing more complex requirements than B2C, this report provides critical information in this growing space. Especially addressing the needs of small and mid-sized distributors and manufacturers, this report provides an in-depth review of the seven leading e-commerce software solutions. The author evaluates pricing models, and costs, ERP integration, out of the box business tools and customer experience capabilities, search and navigation, best of practices as well as provides insight into the software companies’ roadmap and strategy. The report is available for purchase ($149) at eCommerceandB2B.com – the thought leadership site of B2X Partners. Find the report here: https://ecommerceandb2b.com/top-b2b-e-commerce-software-vendors-mid-market/. This report will also be accompanied by a developing microsite to provide the latest as new information, capabilities and platforms are released. 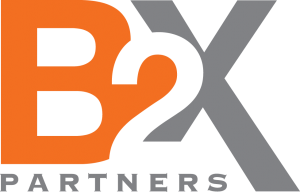 B2X Partners is a B2B e-commerce agency that brings over 30 years of industry e-commerce best practices, focusing on manufacturers and distributors. With a reputation in the field built on expertise and customer success, they provide expert strategy to help B2B businesses address their objectives. The B2X Partners’ site eCommerceandB2B.com is the leading thought leadership and education portal for B2B e-commerce.